Welcome to the newest Rev Couture update! 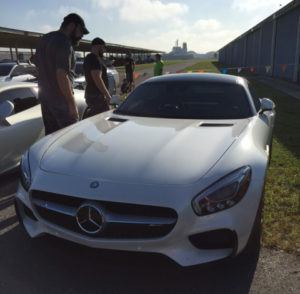 In our latest installment we take you to St. Petersburg’s Cars and Coffee hosted at the Peter O. Knight Airport. 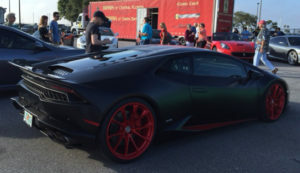 Originating as an informal gathering of high-end exotic owners taking a break in their busy schedules, Cars and Coffee car shows across the USA have rapidly increased in popularity. For this weekend only, the monthly event moved from their regular location at the DuPont Registry HQ to Davis Islands in Tampa. 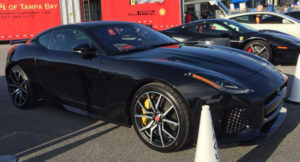 A “grassroots” approach to showcasing high-end exotic vehicles, the venue time and location is typically spread by word-of-mouth, and unlike most car shows, Cars and Coffee is for the true automotive enthusiast (and early risers!) as the event starts at 6:00 AM! Despite the event starting at 6:00, many cars were lined up and ready to go at 5:00 AM. I was there bright and early with my coffee in hand to witness these beauties coming onto the island and taking their spot for the next few hours where my fellow car lovers and I would admire an exquisite grouping of vehicles ranging from vintage classics to the latest exotics. 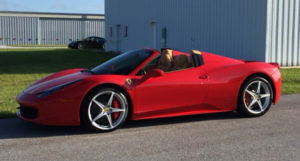 Everything from a classic Pontiac Trans Am Firebird to a stunning Ferrari 458 Spyder. 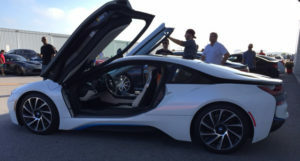 One of my favorites from this day was the BMW i8! Absolutely gorgeous body lines and the color combo made this a perfect example of BMW showing the world how “cool” a hybrid can be. By far my favorite interior goes to this McLaren…so sleek and elegant! The “land of Lambos” offered just about every exterior color. A real show stopper, the Lamborghini Huracan had made a huge impact on the fan base and will no doubt become an instant classic. 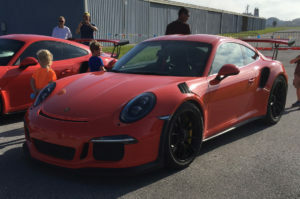 But let’s not forget the Porsche 911 GT3 RS in bright orange exterior. 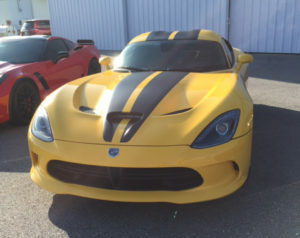 We also had the pleasure of admiring the Dodge Viper and new Jaguar F type. So much to see. So much to dream about. This Cars and Coffee was one to remember!